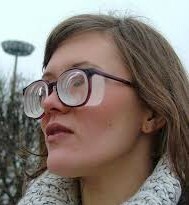 I Don’t Want My Vision To Get Worse! A woman who has had several eye operations has been seeing pretty well out of her one good eye, aided by thick eyeglasses, since she was 5 years old. She says she will be forever grateful to that doctor who saved her sight. She does not feel limited with one blind eye and strong glasses — she feels lucky. 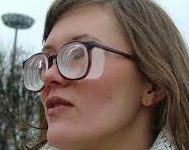 This woman said she worries sometimes that her vision will get worse. She’ll be thrilled if it stays the same. When I presented the idea that it could improve, she had a hard time accepting this. She’s hanging on tightly to the status quo — the only change she could imagine is a decline. Vision varies, getting more blurry if we’re tired, getting clearer if we’re energetic and optimistic. If you keep your body and attitude healthy, learn how to look in a curious relaxed manner, and reduce your dependence on strong eyeglasses, your eyesight can indeed get better. Yet to many people this isn’t even possible. The idea is too different from what they’ve always believed, so they can’t let it in. In my 30s I was diagnosed with a serious disease that is often seen as a death sentence. I did not see it this way, instead viewing it as a challenge I could overcome, and I have no symptoms of the disease today. The body knows how to heal if we give it the right support. Once this health problem was firmly in my past, I talked with someone who had just been diagnosed with the same thing. She was in a panic. I suggested she focus fiercely on self-care, and to “push your limits, gently, or else they’ll close in on you”. I’d give the same advice in a lot of other situations, including when someone has eyesight problems. When you see someone at the peak of health and fitness, a great example of the capabilities of the human body, how do you react? Do you start criticizing yourself as not measuring up? Or do you decide to go to the gym tomorrow, and finally get serious about eating in a more healthy way? Whatever the status of your eyesight, or your health, you can improve if you take positive steps to do so. If you’re unhappy with some part of your life, whether it be your vision or your career or your relationship, please don’t settle. You deserve a happy vibrant full existence. Imagine it, feel what it would be like, then start taking steps to make it happen. As I told the woman I mentioned earlier, “Reach for the stars, and at least you’ll get a rooftop!”. We both laughed at this, and she got the point. Not going backwards isn’t true progress — you can do SO much better! Oh, I can feel you! I am still young but I have a lot of vision issues one of them is having dry eyes. I know I need to see a good eye doctor soon. Mary, hi. Here’s something I wrote a while back about Dry Eye — there may be some hints here to help you. I don’t consider this a “problem”, just the eyes trying to get your attention, so they can be cared for a bit more. “I agree that they had their eyes checked. Eyes are the windows to our souls. Louis, I agree. Physical and emotional and mental health all contribute to eye/vision health, to me. Alright. I’ll try. I’ve found myself getting really confused lately. One of my associates with perfect vision described his vision as such: “It’s like looking at the world’s most High definition television stretching 180 degrees around your head that locks on to anything that moves in a stationary room”. He also mentioned that he could notice an ant crawling on his wall from far away. If possible, could you describe your visual experience? It would make sense that vision is a circular field-like phenomenon since the eyes are circular in nature. Sorry if I’m asking too many questions or heading down the wrong track, but I’ve been trying to correctly understand central fixation. This old blog post is my best attempt at explaining central fixation: https://www.iblindness.org/1411/how-do-i-practice-central-fixation/. About my own visual experience, I agree with the 180 degrees around my head, almost — I have a slightly smaller visual field to the left which is my more blurry eye. And it’s less clear farther out unless I’m very relaxed. About your questions, I learned more from my own experience than from any book, so I encourage you to stay aware of what you’re seeing, and of how that feels. Is it normal for anxiety and tension to get worse in the midst of improving vision? I would think that it would subside and tension will start releasing. Physically, I feel less tense some of the time, but the general mental tension levels have increased. Am I doing something wrong here? Could it be that I should go to bed earlier or eat more vegetables? The visual system is not separate from the rest of your being. If you think you should be eating more vegetables or going to bed earlier, try it for a while and see if it lowers your tension level. I’m guessing vision improvement is not making you tense, it’s just allowing you to notice the tension that’s been there all along. You may wish to experiment with a practice specifically dedicated to lowering stress, like meditation or yoga. A relaxed body and mind lead to more relaxed vision. Coupled with wearing weaker glasses, and diagrammatic breathing, my psycho-physiology is gradually improving. Good — it sounds to me like you’re on the right track. Keep noticing the stress, and letting it go as much as you can. The eyes are connected to the rest of the body, and when the mind and body are tense, the visual system usually is too. Ah. I see. I haven’t been here in a while, but I’ve been improving my stress levels. I’ve discovered that deep breathing works really good for me. My eyesight naturally responds positively though. However, I still have problems with eye contact; in fact my aversion to eye contact has gotten worse. But I’ve kinda always had problems with eye contact. It was definitely related to being in an extreme state of tension for most of my early life. It was multiple sclerosis — I basically fried my nervous system, the coating on my nerves unravelling like frayed wires. The neurologist told me 10 years later that I should be in a medical textbook, because no one improves, that people get worse fast or slow but always get worse. An attitude of a fierce intent to heal, no other result is possible, will get you a long way! You see why I have such a focus on calming my nervous system? I want the signals (visual and otherwise) to continue flowing freely and without static. What was the serious illness? Another condition related to strain such as lupus or heart disease?